CERTINA Automatic wind 21 Jewels Swiss Made. This calibre 28-451 movement is in excellent shape. 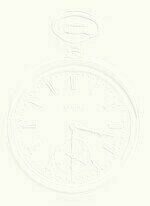 This is the kind of a movement a watchmaker likes because is it state of the art factory design and workmanship. The movement has had few repairs in the past. 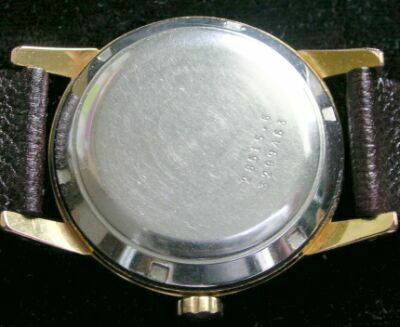 The case (#28515.6) is yellow electroplate with only a slight bit of wear-through on the lugs. There is a lifetime mainspring, the watch has been cleaned, oiled and adjusted and after wearing it for a week to check on the accuracy and that it will run overnight from the motion it gets on the arm during the day. The off white dial is in excellent condition, the illuminous "dots" at the numbers and the hands have had the coating renewed. Raised gold colored hour markers and hands. The logo is on the dial and the movement. 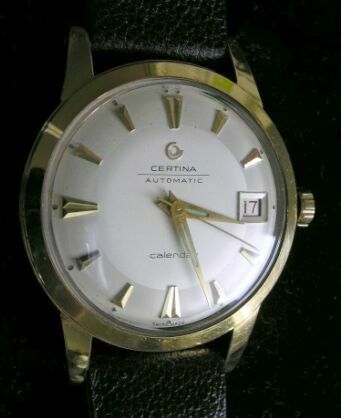 The dial reads "Certina/Automatic" and "Calendar" plus "Swiss Made". A new crystal and leather strap have been fitted. Case is 35mm, lugs 18mm. # 1161 $ 225.00 + shipping.